Musician, DJ, and producer Sacha Robotti from Belgium started making music at a young age and has been producing beats since the mid 2000’s. Sacha’s made a name for himself in the EDM community. 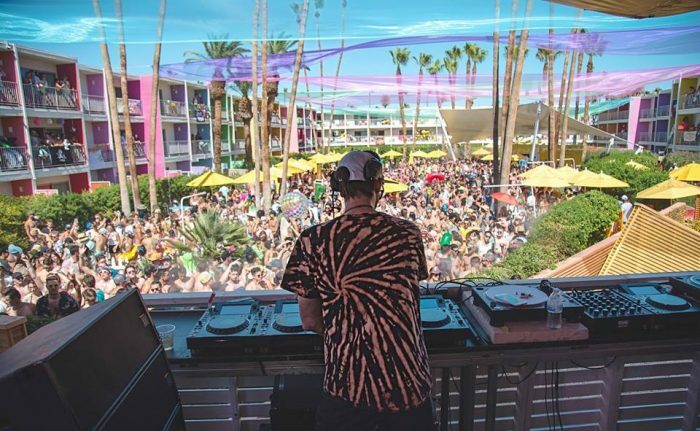 He has become part of the Dirtybird family, debuted his own Sloth Acid tour and performed at renowned festivals including EDC, Fusion Festival, Dirtybird events, Lightning In a Bottle, Nocturnal Wonderland, Santa Cruz Music Festival and more. 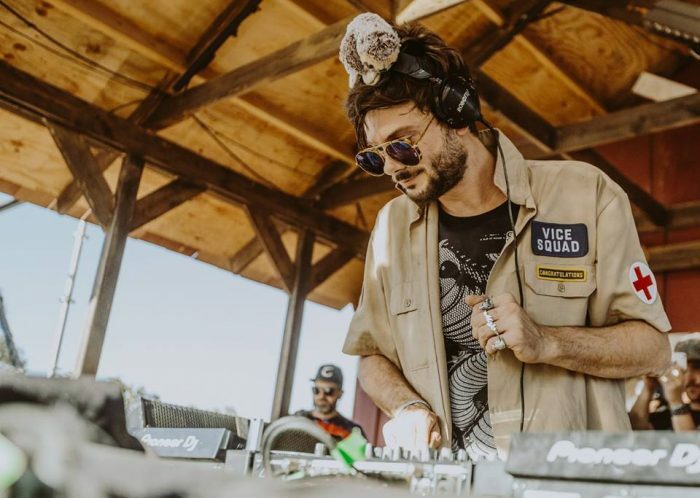 This house and funky beats master gave us some time after his set at SCMF and gave us some insight into his creative mind. A single that initially blew us away from Sacha Robotti was ‘Melato Nina’. Now, enjoy Sacha Robtti’s set in The Lab during Nocturnal Wonderland as you read our exclusive interview. Talk to us about your musical background. I used to play cello for a bunch of years. I started DJ-ing when I was 15 and then producing when I was 20. Then when I was around 25, 26, I decided I was going to make this a career. You have a masters in music right? Yeah, I have a masters in Sound Studies / Acoustic Communication from the Berlin University of the Arts. It was mostly creative thinking and process about sound and with sound. How did you become connected with Dirtybird? I knew the label since 2006, since their second release. I loved it and I thought it was very original. So, I started developing a relationship with them and started sending demos. I played their music in clubs, hosted DJ mixes on my podcast Berlin Kreuzberg Institute, and connected whenever one of the “original” birds was in my hometown Berlin. I kept making music and sending demos, at some point Claude Vonstroke signed one of my demos called “The Major”, and since then I’ve been releasing on Dirtybird. 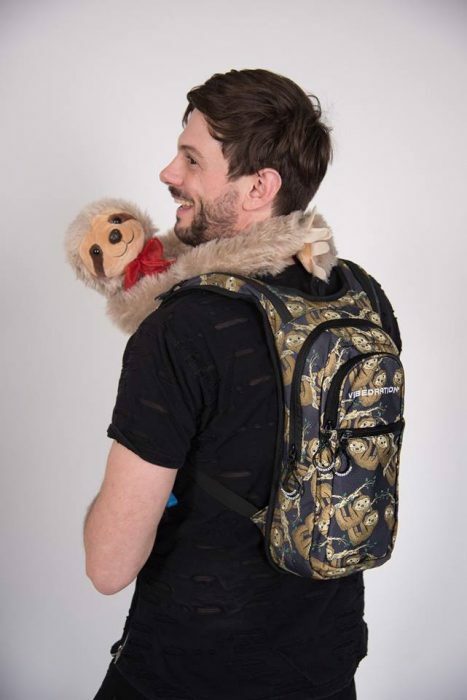 How did the Sloth logo come about? The sloth logo was for a party that I threw a couple of years ago with a friend, it was called Comfort Zone. It was about having a long DJ set and being comfortable, and not having bottle service vibes. I chose a sloth for the logo, my friend Mikal Brucken designed it, and the whole thing kind of just picked up. People started tagging me in sloth memes and then I started pushing this whole sloth theme myself by posting funny sloth related things on my Instagram. The term “Slothacid” was created at Desert Hearts festival 2017.. how it came about is another story though. What have been some of your favorite festivals? Dirtybird Campout, Burning Man, Desert Hearts, Lightning In a Bottle, EDC to name a few.. So you are from Belgium, I was just there for Tomorrowland this past year. Have you attended? Yeah, I grew up in Belgium, Brussels to be specific. But I’m not Belgian, my parents are German Italian. But no, I’ve never been to Tomorrowland. But I’m going whenever I’ll play haha, hopefully soon. We will see, I’m just manifesting it. Do you have any crazy fan moments you can tell us about? Yeah, like tonight! People made me these Sacha Robotti necklaces and candy, and gave me these little plastic aliens and some people dropped a handful of green on my DJ booth. We love your track Melato Nina, talk to us about the production behind that track. I wrote it when I was jet lagged, in a plane, and I was taking melatonin to set my rhythm back to normal. That’s what inspired the name. It’s melancholic and represents my goodbye to Berlin, where I lived for 16 years. The main production feature is the bass line, which comes from a 90s Oberheim synthesizer, that I recorded at my friend Monte’s in Hamburg, Germany. What can people expect from you this year? Hopefully more music that will impact people in some way, more dj sets, hopefully longer sets too. I’m also working on setting up a music label for my own music, and a label for clothes and merch. I’m also applying for a new visa right now. Can’t wait to see what the future holds for me! Managing Editor of thatDROP.com. Find me Paige Side, row 50 C or by email bobby@thatdrop.com.